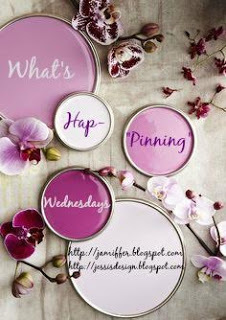 Hey ya'll and happy what's hap-'pinning' Wednesday! We made it to the half-way mark which means the weekend is within reach. I leave tomorrow for girls weekend - woot woot - bring it on! 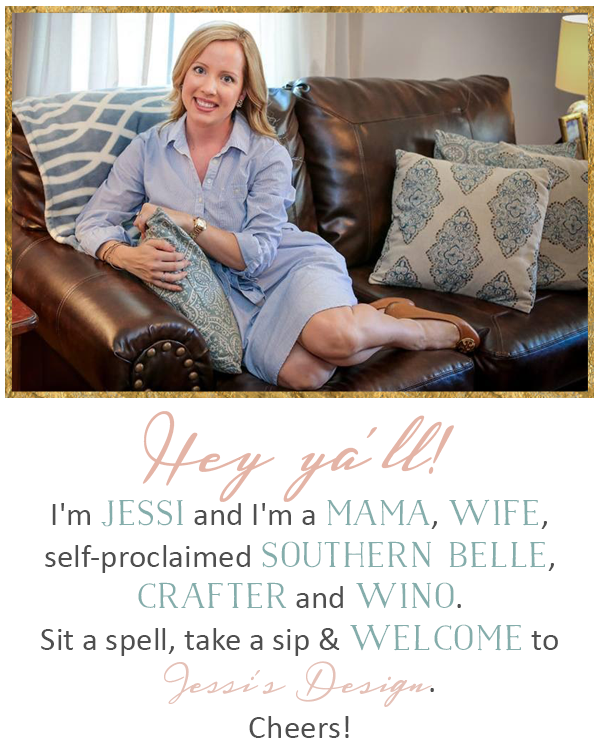 Today I wanted to share some of my favorite summer recipes with ya'll. For some reason I love Fall and Winter comfort food a little better but you seriously cannot beat the fresh ingredients that are available this time of year. It always inspires me to cook and whip up new dishes! I was craving a cold pasta dish the other day and literally pulled together something with what I had available in the house. I used garden veggie penne, pepperoni, mozzarella cheese, black olives, tomatoes, sweet peas and cucumber. Mixed in red wine vinegar, olive oil and some suddenly salad seasoning with sesame seeds and then popped it in the freezer for about an hour. Top it with those oriental crunchy things and you're golden! Ya'll, is there anything better that that simple cold salad? We ate on it for a couple days for like every single meal. Those are my favorite things to keep on hand in the fridge so if you have any recipes like that let me know! Here are some Pinterest finds and favorites I'm looking forward to making as well. Don't forget to grab our button and link up below to share what's going on in your life. Since I'm leaving tomorrow, I'll be back on Monday with a recap so enjoy the rest of your week! Have so much fun on your girls weekend!! Love these summer pasta salads/other salads! One of my favorite things to eat when it's super hot outside! Delicious looking summer dishes, great picks, lady! 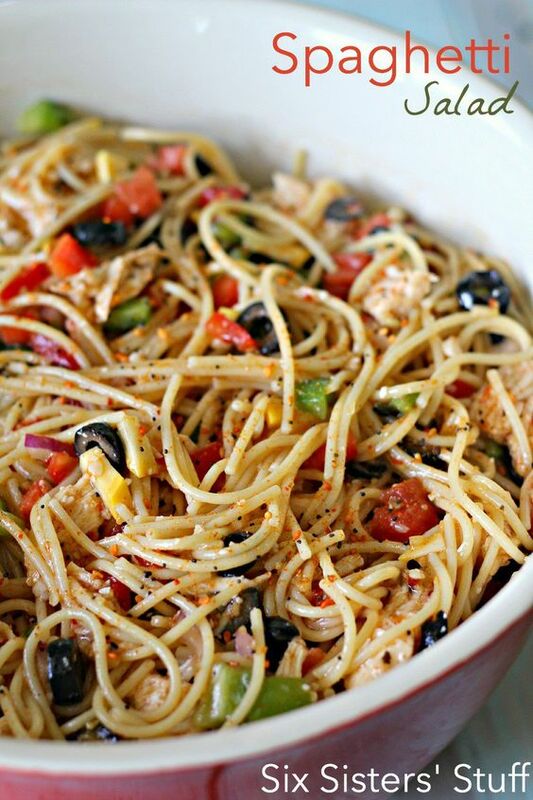 That spaghetti salad looks delicious!! Have SO much fun on your girls trip!!! The avocado looks yum. I need to do a cold pasta salad since its something E will also eat. Have a great time with the girls!! Hope you girls have a fabulous trip! Wish I could make it! I love making up pasta salad with odds and ends that are already in the kitchen - my favorite for summer! In fact, I'm home today and that's what I'm going down to make for lunch soon - we have some chicken leftover from last night then whatever else is in the fridge! Have a great trip and enjoy the weekend! These all sound incredibly delicious! And you're right those cold pasta salads totally hit the spot! 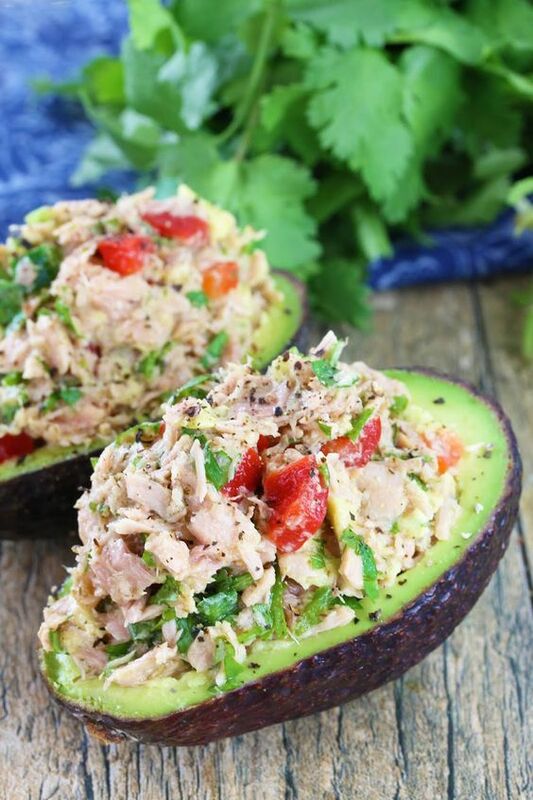 I pinned that avocado salad awhile back and completely forgot about it! Thanks for the reminder. :) I need to make some more cold salads this summer! So yummy. Have a great girls weekend girl! Yum. These all look really good! Amen to the simple go to cold salads with alllllll the fresh goodies!! I'm hoping to make some dull cucumber salad today or tomorrow! It's one of my fav summer salads! There's a link on my page somewhere! Lol. It's basically just noodles, onions, cucumbers, and a vinegar based dressing! I wish I liked avocado more because that salad you shared looks yummy!